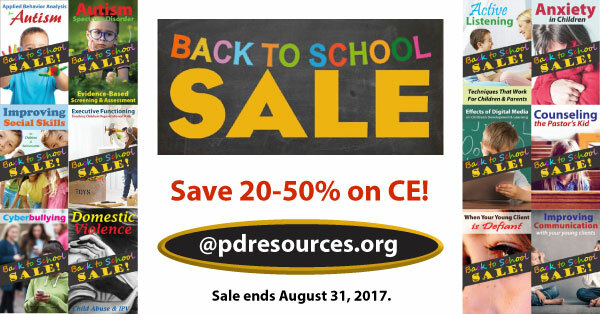 Time is running out to save 30% on ALL of our online CE courses (even closeout).Stock up now and earn CE wherever YOU love to be. Professional Development Resources is a Florida nonprofit educational corporation 501(c)(3) approved to offer continuing education by the American Psychological Association (APA): the National Board of Certified Counselors (NBCC); the Association of Social Work Boards (ASWB); the American Occupational Therapy Association (AOTA); the American Speech-Language-Hearing Association (ASHA); the Commission on Dietetic Registration (CDR); the Alabama State Board of Occupational Therapy; theFlorida Boards of Social Work, Mental Health Counseling and Marriage and Family Therapy, Psychology & School Psychology, Dietetics & Nutrition, Speech-Language Pathology and Audiology, and Occupational Therapy Practice; the Ohio Counselor, Social Worker & MFT Board and Board of Speech-Language Pathology and Audiology; the South Carolina Board of Professional Counselors & MFTs; and by the Texas Board of Examiners of Marriage & Family Therapists and State Board of Social Worker Examiners. We are CE Broker compliant (all courses are reported within one week of completion. Back to School CE Sale – Up to 30% Off All Online Courses! Back to School season is a great time stock up and save on your upcoming continuing education requirements. 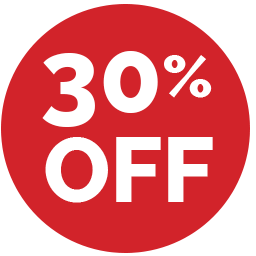 Order now and save up to 30% on all online courses @ PDR. Earn CE wherever you love to be. 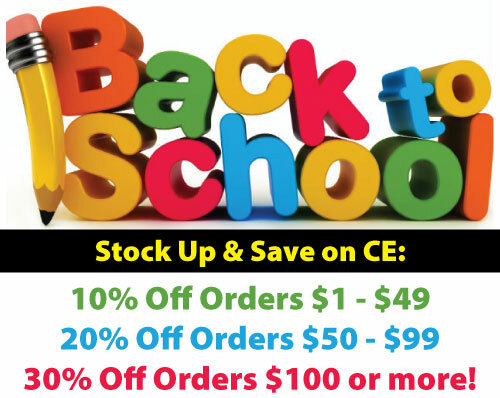 Back to School CE Sale – Last Day to Save Big! Sale ends @ midnight tonight. Gina went to Tallahassee last weekend to help a friend move (yes, she is super nice! ), and nowhere was it more apparent that Back to School season is here (it looked like the entire city was moving!). Choose any 3 courses and the lowest priced 3rd course will automatically be deducted at checkout (courses must be purchased together). Sale ends Monday, September 1, 2014. Offer valid on future orders only.